Jarrod Parker looked good throwing a bullpen session on Wednesday at Salt River Fields. It was business as usual at Salt River Fields at Talking Stick on Wednesday as pitchers and catchers took part in day three of spring workouts. Pitchers continued with bullpens, PFP (pitcher’s fielding practice), conditioning and hitting work. Hitting figures to be a continuous work in progress for the pitching staff as manager Kirk Gibson has expressed his desire for pitchers to be able to handle the bat. As workouts progress, several players have established a routine and are developing a routine. Among the pitchers who participated in workouts today was left-hander Clay Zavada. Zavada missed the first two days of camp for reasons he deemed were a personal matter. While the southpaw did not throw a bullpen, he was able to play catch and workout. Zavada said he hopes to throw a bullpen on Friday or Saturday. While getting Zavada in camp was a priority, so was reaching an agreement with starting second baseman Kelly Johnson. Johnson agreed to a one-year deal with the D-backs on Tuesday, which allowed him and the organization to avoid an arbitration hearing. Johnson reported to camp Wednesday. Now that Johnson is under contract, the infielder has developed a winner’s mentality he hopes the D-backs will hold as team throughout 2011. “I’ll be honest, I’m sick of the moral victory thing we started doing at the end of the year. I think we started with a really good, positive note going into spring training. Going into the season, I think everybody was very strong. I think we played great baseball in Spring Training. I know spring games don’t mean a lot, but there was just a lot of confidence. I think guys going up to the mound, going up to the plate, I think everybody was confident and positive. I thought we had a really good momentum going into the season. 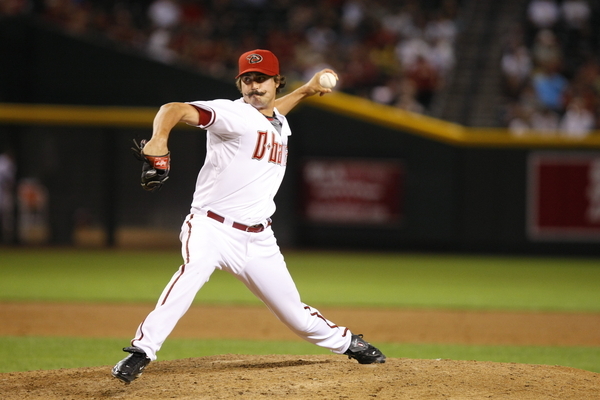 Johnson is adamant that a moral victory attitude for the D-backs has to be put to an end this season.